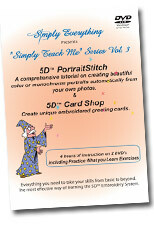 Diana and Kothy continue their winning style with “Simply Teach Me”. 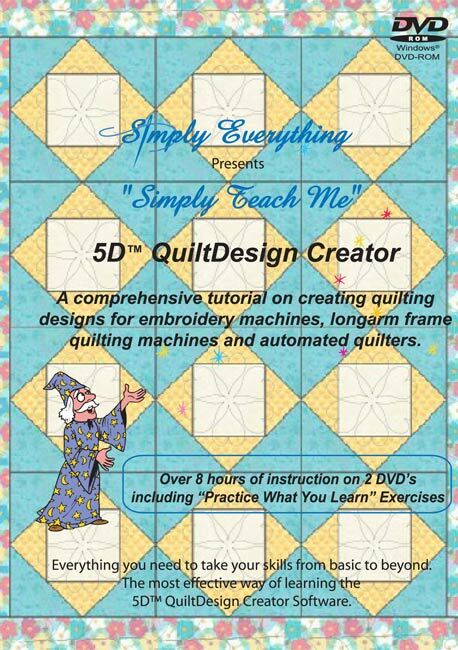 5D™ QuiltDesign Creator. 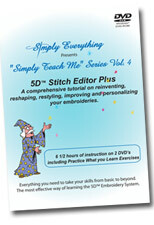 This comprehensive and detailed instruction of 5D™ QuiltDesign Creator will take you from basic to the next level. 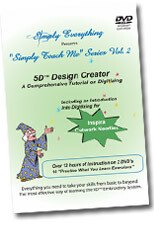 Diana and Kothy will have you mastering your software in days. No experience necessary and no books to read. Easy to understand and follow. The best part is all you have to do…..is put the disc in your computer. It is as close as you can come to attending the class in person. 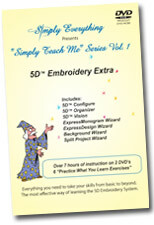 Learn to create your own perfect quilt designs. pantographs, quilt blocks, borders, quilt labels and much more.